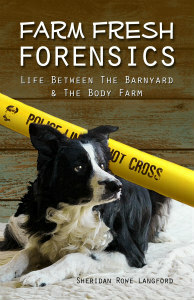 While most additions to the farm are a result of tedious research and obsession, others are an accident of fancy. I went to the ranch estate sale with the intent of buying all the purebred Navajo Churro sheep I could afford, but I brought a Wild Card - my husband. Let me take a moment to explain that I was feeling particularly indebted to him that day. Anyway, on that Thursday night, Dear Friend Kim told us about this giant ranch estate sale that was taking place November 20-21. Since Other Half is a sucker for these sales, I assumed it would just be one more of his adventures and I had no plans on going. Then Kim dropped the bomb. "They have those Navajo sheep that you've been wanting." "Remember, there are no bad sheep." I assured her that my intent was to buy all the churros. In fact, the weather was supposed to turn really ugly on Saturday and I was hoping that would keep other buyers away. I smugly announced that no matter what the weather, I planned to be at the gates an hour before the sale opened on Saturday. That's when Sue pointed out that the sale was on Friday and Saturday. Not Saturday and Sunday. (Cue the Homer Simpson "Duh!!") It was 9 am on Friday. The estate was two hours away and the sale started at 8 am. I rushed into the house, woke up my sleeping husband, and announced that we had to leave NOW! We got to the estate and to my relief, the sheep had not been sold yet. So while I picked out all the churros, he took one look at the large flock of Churro, Jacob, and Southdown sheep, and informed me that we needed to get some of "those spotted ones." I told him those were Jacob sheep, and thus not part of the plan. He pointed out that they were cool looking and he liked them. Alrightie then. Add a couple of the 'cool lookin' ones too. I mean, he did sacrifice his entire day without complaint to get sheep for me. What's a couple more sheep? Now since I didn't plan to buy Jacobs, I hadn't researched Jacobs, thus all I really knew about them was that four horned sheep were more desirable. Other Half announced that he thought the 4-horned sheep were "evil-looking." Okay. No 4-horns. That was fine. Since we were not Jacob breeders, it made more sense to leave the most desirable Jacobs for someone coming behind us who may be looking for Jacobs, not Navajo Churro. Other Half selected two Jacob sheep that he liked. Bonus. One of these came with a half-grown lamb the lady threw in for free. I must admit, I didn't think much about the Jacobs at first. I just bought them because Other Half wanted them. They are cute little sheep, but since Jacobs are not part of my breeding program, their addition was merely an added expense. But then I got to know these little guys and found that I genuinely enjoyed them. 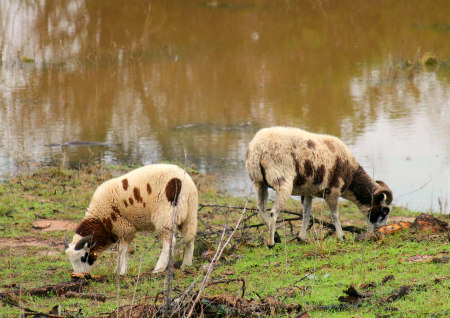 Instead of richocheting into walls, the Jacobs are calm and thoughtful sheep who influence the others. 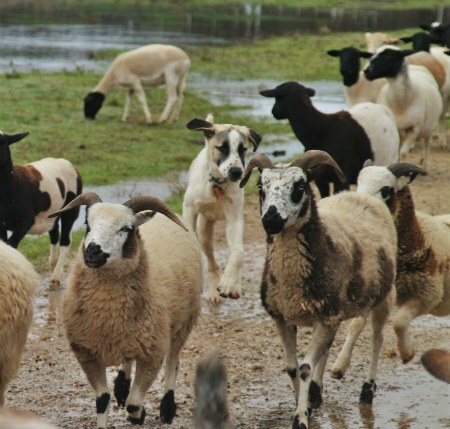 They were the first to accept me as their shepherd. It looks like Other Half picked out an older ewe, her baby, and an additional yearling ewe. Long range plans? Who knows. They are blending well with the flock and they don't cost much to keep. Now that I'm retired, I'm able to explore my interest in learning to spin and weave, and the Jacob fleeces will add some interest to that. We'll see. I believe there are no accidents in life. It remains to be seen what these little ewes will bring to ours. Thanks for posting about the Jacobs. I LOVE them, but living halfway down Florida, like I do, Jacobs are probably not in my future. They are very distinctive looking even without the four horns. 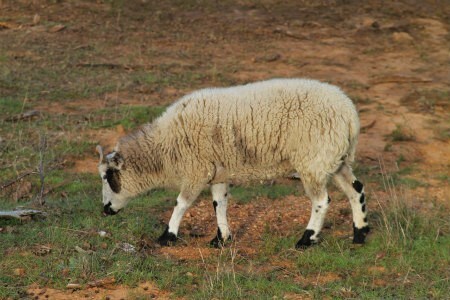 I LOVE JACOB SHEEP! 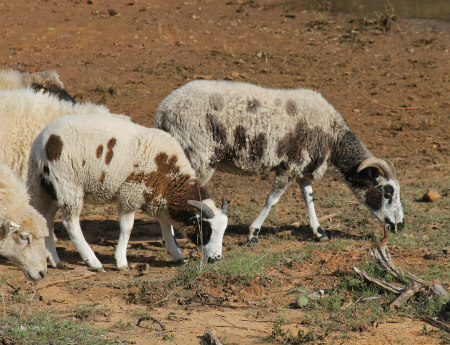 They are my second favorite after Valais Mountain sheep, and since I can't bring those into Canada, to my knowledge, I guess someday when I manage to have some semblance of a little farm, I will be on the lookout for Jacobs. Saw them at a heritage site in BC a couple of years ago and that was that. My only real sheep experience is a friends finns - and I love them, and it's cool that their mass-productivity means that you can get a LOT of lambs out of a smaller flock...but I have decided I want Jacobs if I can't have Valais. Or maybe I want both! I have enjoyed your blog for awhile. It reminds me of my childhood in Eastern Europe. 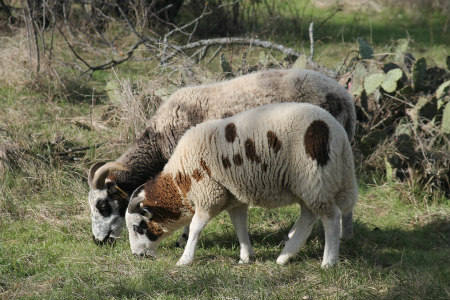 I the town of Farmersville, East of Rockwall, the people from the following link have the supplies and classes for wool spinning and coloring: http://www.fancyfibers.com/fibers/. Good luck and keep on living your dream. Awwww... that's sweet! Thank you! I'm glad you have enjoyed the blog. Thank you for the tip too. I plan to get more involved with fiber sheep in the future now that I have time!